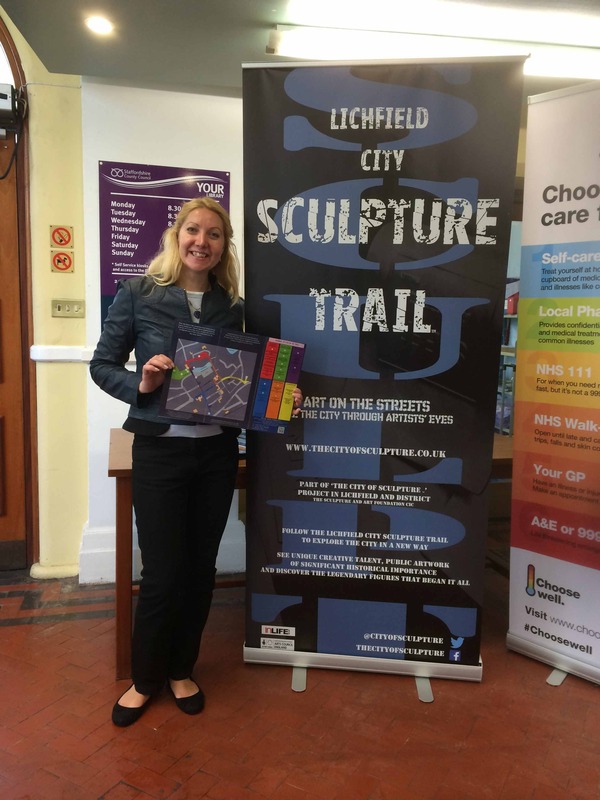 The first edition of the Lichfield Sculpture Trail leaflets are now available around Lichfield. There are two formats available – a fold out leaflet with information and a full trail map which can be used to enjoy walking around the trail – start at any point and amble between the artworks. Another version is a small card with a QR code on it. Use the QR code to access the trail map online was you walk around the city using your digital mobile devise to navigate the works. Leaflets are available at Tourist information in St Marys on Market Square, The Garrick Theatre, Premier Inn, The George Hotel, Erasmus Darwin House, Dr Johnson Birthplace Museum, Emporium Gallery, Lichfield Library, amongst others.